Another amazing SF New Tech in the books. There were free tacos, a packed house with hundreds of great connections being made. Along with the usual amount of triple digit connections, came the cards, oh lord, the stacks of cards. We love meeting you all, and your cards are great, we just don’t like the amount of time it takes to log all that info associated with them. Not to mention all the trees (“Mommy what are trees?”) it takes to make said products. Enter CardFlick, a SF New Tech vet that solves the above mentioned headache/conundrum. “CardFlick is a team of Designers/Hackers/hustlers who believe in the power of design”. Currently, Cardflick is only available in the ever so popular iOS format (Android coming soon, shhh), and with it, you can create a beautiful digital business card from your Instagram and Facebook photos with their freshly released “InstaCards”. The InstaCards feature is great in that in just a few simple steps (background, design, colors, image, and info), you will have successfully created a personal business card for you to share or “Flick” with all your connections, regardless if they are CardFlick users or not (more on this a bit) . Once you get to this point, “Flicking” is, well, just what it sounds like. You Flick your card out into the room and anyone in the area who has the app can see and receive it. Now however, you can flick your card to specific users in the room, you know, just in case you don’t want everyone around to have all your info. Of course, CardFlick works best if both parties have the app, which is currently free (during beta only). And if you flick your card, it instantly shows up on our phone. There have been several other apps that share info, BUMP would be the only one worth mentioning, but what makes CardFlick better is the ease of use. It’s just so simple to create amazing, free, cards to exchange on the spot. Also, there are plenty of great themes, and plenty more on the way. Now, for all the people out there who don’t want to join another site/service amongst the endless sea that are already out there, don’t worry, we can still take your card and flick ours straight to your email if you prefer. Either way, when next we meet, “Lets Flick”. Originate is the leader in a new brand of investment model called “Venture Resources.” We invest elite engineering and business expertise into high-potential opportunities in which we can leverage our past experience to add significant value. A venture capitalist will provide startups with cash and guidance, but we partner with entrepreneurs to actually develop a world class product. We provide the resources to fund, grow, and build a new company. We work with early-stage ventures as well as more established companies poised for explosive growth. Our portfolio includes investments in some of the most entrepreneurial start-ups and fast-moving enterprises as well as internally generated incubations. If you are an entrepreneur with the desire to take your startup to the next level, contact us to see how we might work together. Space matters. It can inspire people to do great things. To engage one-another. To think more deeply. To innovate and make a difference. 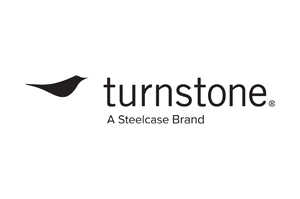 That’s what inspires us at Turnstone. Because great companies don’t just happen. They’re crafted. For unique culture and brand. For tech-enabled mobility. For collaboration and attracting and engaging great employees. Great spaces are part of great companies. Let us make your space matter. The JetJaw mobile engagement platform enables in-the-moment interaction through any mobile phone, tablet or computer. Act fast on immediate, accurate feedback with rich, quantitative analytics. 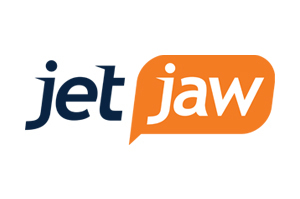 Increase loyalty and revenue with JetJaw. JetJaw offers solutions for customer feedback at restaurants and retail, audience voting at events and conferences, data collection for mobile workforces, student polls and quizzes at universities and trainings, advertising response and more.